Deep in the heart of the lush, forested Pacific Northwest, sections of the St. Joe River are part of the National Wild and Scenic River System, and for good reason – the St. Joe is absolutely spectacular. 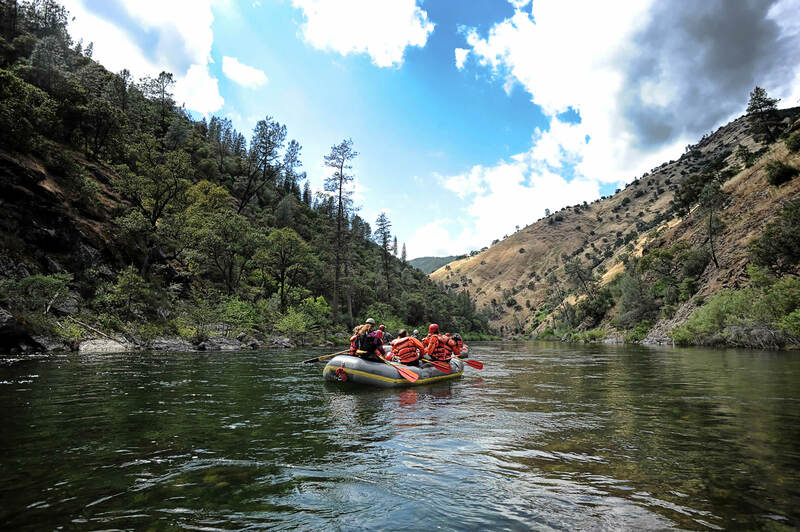 Rafters float through a densely forested river canyon that is remote, relaxing, and full of wildlife. Crystal clear, emerald green water make it apparent just how little human traffic there is in this region. 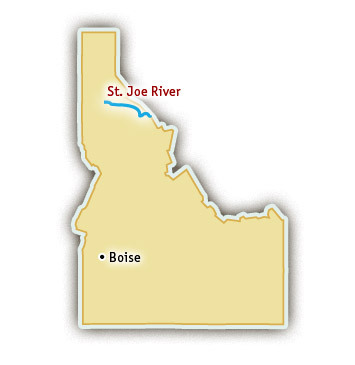 The St. Joe River is located in Idaho’s panhandle region, and day trips there begin and end in St. Regis, Montana. Twelve to sixteen miles of big splashy waves are sure to get squeals out of even the most experienced rafters, however the Class II and III rapids on the St. Joe River are perfect for first time rafters and more timid adventurers. St. Joe River rafting trips are a great group experience with plenty of good whitewater and calm pools in between rapids. A St. Joe River rafting experience will leave rafters giggling and hoping for more. Many types of wildlife call the St. Joe River their home. In the calmer sections, between rapids, rafters can see trout swimming through the clear mountain water. Osprey and eagles fly overhead and deer graze on the forest vegetation that is lush throughout most of the year. Every once in a while a bear is spotted through the trees munching on huckleberries or coming to the river for a drink of water. Rafting on the St. Joe River takes paddlers on a tour of a very healthy and alive forest. St. Joe River rafting adventures take place in the spring and early summer months when the snow is first melting. It is a free-flowing river (un-damned) and depends entirely on the winter snowpack and spring precipitation.